Commuting in New York City is rarely associated with comfort. One minute you're squeezing yourself into a rush hour subway, and the next you're dodging tourists on the streets. But that is just the dynamic of the city, and the best you can do is grab a coffee, put in your earphones, and leave the four-inch heels at home. Lou & Grey has finally opened its first New York store, and its just what we city girls needed. The brand values the relationship between style and comfort, which is evident in this jumpsuit that I've worn twice since the weekend (#noshame). From a day at the office to dinner with my guy, it felt as if I had never taken off my pajamas from the morning. That's clothing in its best form. I know how horrible commuting can get at times. Trains at rush hour are the worst. P.S. 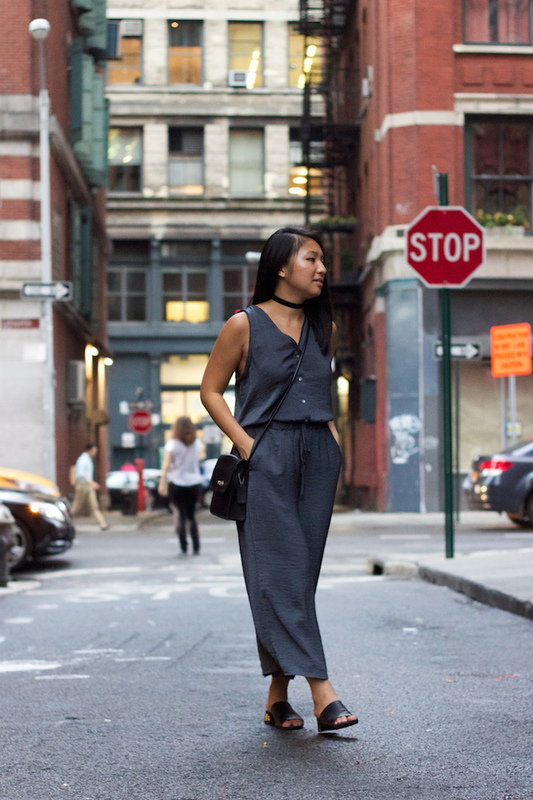 This jumpsuit looks amazing. I love how you styled it with simple shoes. Definitely perfect for running around NYC. It looks so perfect. And looks great on you girl! I love your jumpsuit! It looks so comfy. 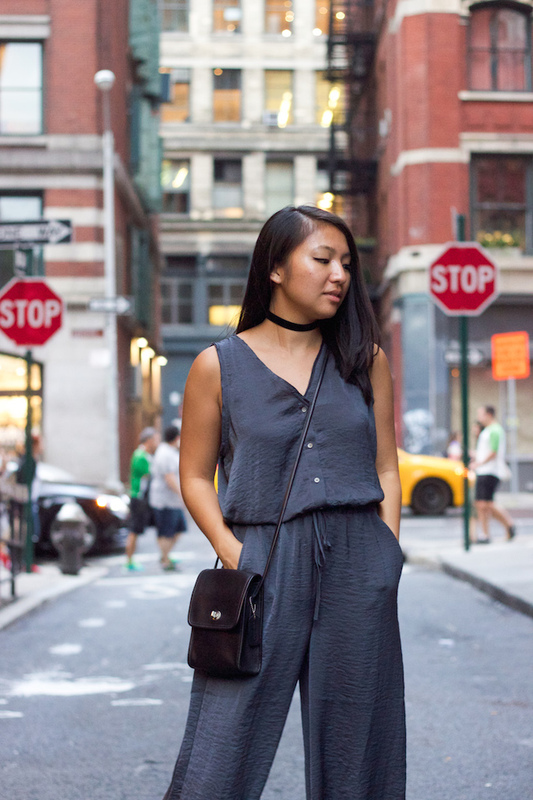 Style and comfort in one jumpsuit. Nice to see you in this attire. Comfort seems to be key in NYC! I can't imagine running around in heels in the city either. This outfit is so simple yet chic. I think I could live in it heheh PS, I also like what you did to your landing page! Love that jumpsuit Christina!! It looks seriously comfy and yet cute and stylish. Also, these pictures are so good! 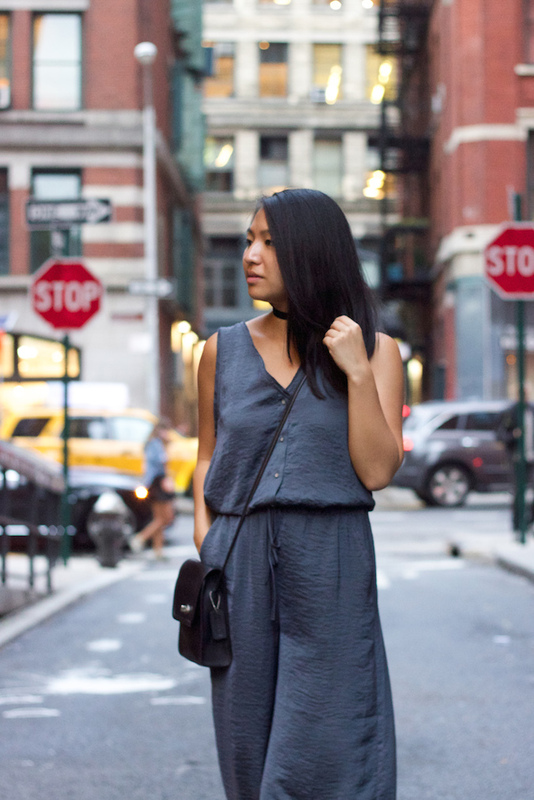 This jumpsuit is so chic and looks comfy too. You look so good wearing it. 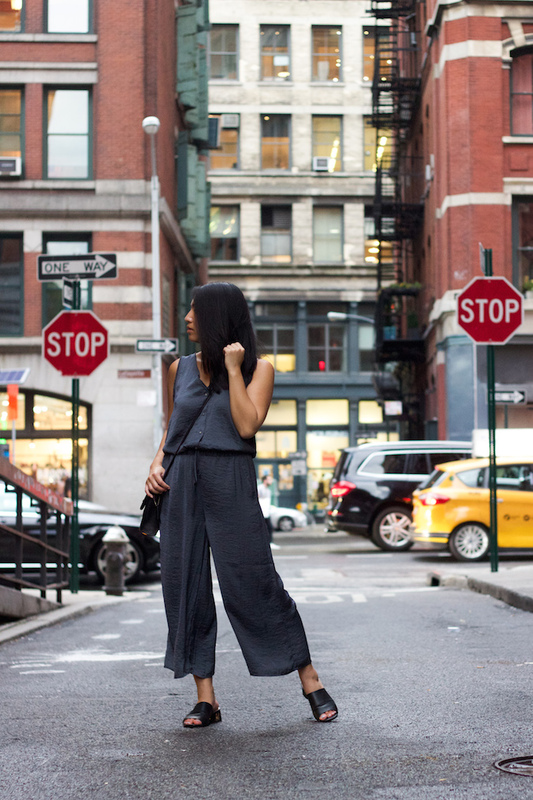 We adore jumpsuits and that one looks like it was made for you, you look stunning! You look so chic and stylish! Thanks for the visit. What a perfect outfit for everyday wear! It look so comfy and easy to wear, definitely right up my alley! 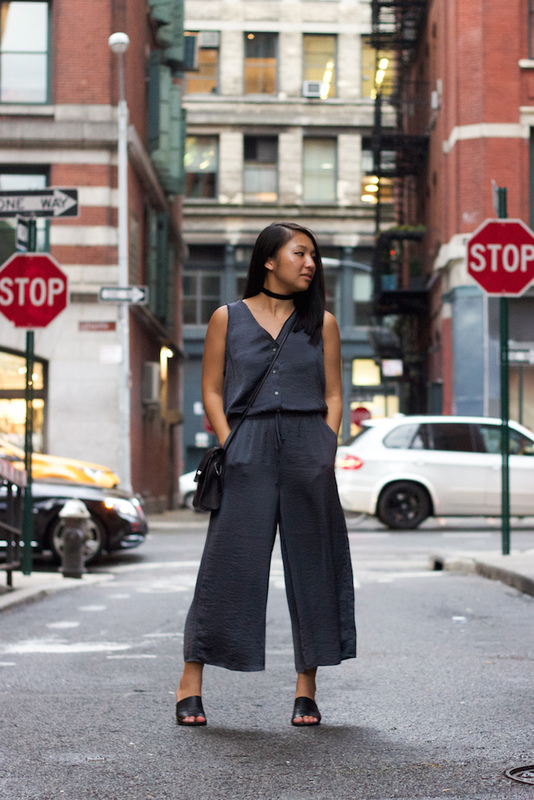 Wide leg jumpsuits are becoming such a cute Fall staple, love this look Christina! These pictures are stunning! Your outfit is so effortless, yet chic! Love your blog! My name is also Kristina.